A meal you will never regret. To start off, I really would’ve liked to title this “Best Steakhouse in Dallas” or even Texas, but since I have only been to a handful of steakhouses between Dallas and Houston I didn’t think I could make that claim. 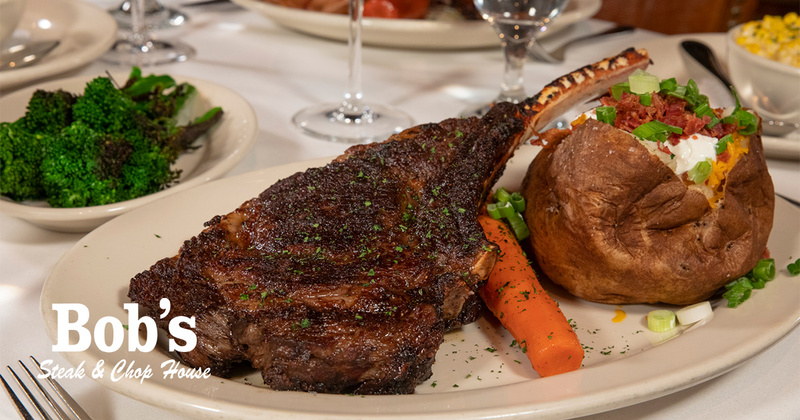 However, Bob’s Steak & Chop has won numerous awards, including Best Steakhouse by D Magazine. So I would say that a lot of people agree with my love for Bob’s. Although there are locations across Texas, and a few out of state locations as well, my boyfriend and I frequent the location on Lemmon Ave. in Dallas, which just happens to be the original location. When you walk inside Bob’s you feel like you’re in a different time period. It’s so homey and traditional, not trying to be so modern and interesting like many other fine dining restaurants these days. Even the outside of the restaurant is so unassuming, you very certainly could miss it if you didn’t know where you were going. The menu has a decent variety of food, almost everything you would expect from a classic steakhouse. There are definitely no curveballs. Bob’s is as classic as classic can get. That being said, the food is just amazing. I’ve never been disappointed with anything I’ve ordered there. And my favorite part is that you truly get what you paid for. Each meal comes with a glazed carrot and a side of potatoes (mashed, baked, or skillet-fried). More and more these days restaurants are charging extra for sides that traditionally came as part of the meal. So it’s nice to feel like you’re not being ripped off. And even the glazed carrot is perfect at this place; you know your food is going to taste great. Although I haven’t visited other Bob’s locations outside of Dallas, I’m pretty certain that they are equally as fantastic by the amount of awards each location has received. If you haven’t been to Bob’s Steak & Chop, go. As someone in college who is hesitant to spend a lot of money (which for me is like $100) at one time, I have never regretted eating a meal at Bob’s. I’m pretty confident that you won’t regret it either. And hey, if you’re a student not feeling like taking the risk, ask your parents to take you there next time they visit you. You can’t lose.